Iridescent LED Clock Made with Ping Pong Balls « Adafruit Industries – Makers, hackers, artists, designers and engineers! Makers have long known that ping pong balls make great diffusers for LEDs, but now, using individual RGB LED PCBs, Tjjensma has taken things to a whole new level and created ping pong ball clock. 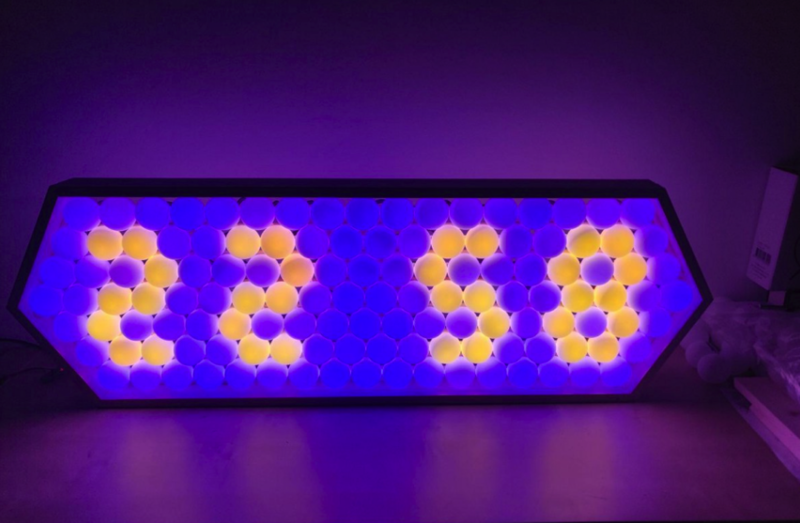 This device, which uses an Arduino Nano clone and an RTC module for accurate timekeeping, involved daisy-chaining well over 100 LED modules together to form the display.